Ball Aerospace has completed a six-month Phase A study of the scientific and technology requirements for the Wide Field Infrared Survey Telescope (WFIRST) project's Wide Field Instrument (WFI) — WFIRST will be NASA's next flagship space telescope under development and will follow in the spacesteps of NASA's James Webb Space Telescope. 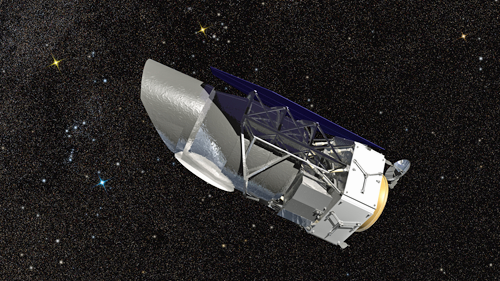 Artistic rendition of the Wide Field Infrared Survey Telescope (WFIRST). WFIRST, the top priority of the most recent Decadal Survey in 2010, would bring the ability to capture individual images with the depth and quality of the Hubble Space Telescope, all the while covering 100 times the area. Among the space telescope's scientific objectives, WFIRST will enable scientists to answer questions about how galaxies and groups of galaxies form, study the atmospheres and compositions of planets orbiting other stars, and address other general astrophysics questions. NASA has launched a series of large space telescopes over nearly 30 years, including the Hubble Space Telescope, the Chandra X-ray Observatory, the Compton Gamma Ray Observatory and the Spitzer Space Telescope. Together, these four space telescopes are known as the Great Observatories. Each was recommended by a National Academy of Sciences' Decadal Survey for Astronomy and Astrophysics, and Ball played a crucial role in each of them. For example, Ball built seven science instruments for Hubble, and each of the five science instruments currently operating on the telescope were Ball designed and built. Ball also built the Corrective Optics Space Telescope Axial Replacement (COSTAR) that helped correct Hubble's hazy vision. Ball worked with Northrop Grumman to design and build the advanced optical components and cryogenic electronics system for NASA's next Decadal mission, the James Webb Space Telescope, which is scheduled to launch in 2018. 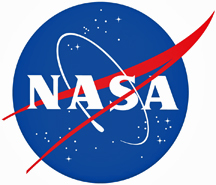 Ball has been involved with each Decadal mission since the 1970s, and supports the upcoming 2020 Decadal study by contributing to the Large Mission Concept Studies.